This will be a quick post, but I really wanted to show you one of my favorite things! The gallery wall. When we moved in I hesitated on putting up pictures because I just couldn’t decide which ones to put where and how to disburse them throughout the house. Then it happened; the inevitable day when I couldn’t take living in a stark picture-less house anymore! So while the hubsters was out playing basketball I gathered all of the framed pictures I had and placed them out on our kitchen floor until I found a layout I liked. 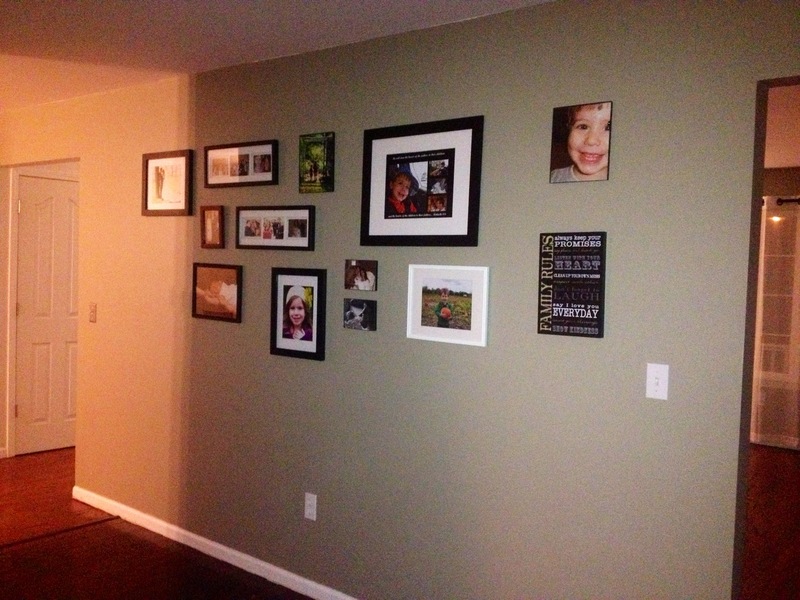 Don’t be afraid of the gallery wall! I was and I am so glad I faced my fear. Mix up the color of your frames. Use some with matting and others without. You can even mix up color photos with black and white. Here’s a pic of the full wall so you can see how before it became my gallery wall it was just a big empty grayish space. And here’s a pic of the gallery full on….